Last week (on or about Thursday 5th of April) i turned on the Picasa software on my computer and it offered to update to Version 3.9. Cool. It's a new version. It must be better. Sure thing! a. All my blog pictures that I have worked hard on for years would disappear. b. All my Picasa Albums online would disappear. Google, I'm not happy. I'm really not happy. And I can tell from all the other comments I've seen on the internet -a LOT of other people are not happy. You owe us. For years we put a lot of effort and time into building our internet presence and now you have pressed the 'delete' button on us. We feel sick and upset for our loss. You need to understand this. 1. Is the picture on the right what you saw on your blog/s? 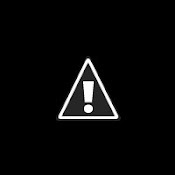 I have lot of blogs and last week, this exclamation mark in a triangle is what i saw - where all my pictures used to be. I was distressed, I was confused, I was at a loss. Google would not help me. They said, that once my Picasa albums were deleted, we could not get them back! But Google... I didn't delete my Picasa Albums! And hey, on my little computer I've got a 'Recycle Bin'. Are you telling me that your mega-bucks computer doesn't have a similar utility? Why don't you just come right out and say "We could put your albums back, but we can't be bothered attending to your little nuisance problems." 2. And also, I didn't ask you to delete my Picasa Albums either! Why did you delete them? Picasa was my backup - Google, YOU were my backup! Now, I have to put a lot of time and energy and effort into fixing up this mistake. And some of these mistakes cannot be rectified! And in many cases I don't have the original pictures! Pictures of my children and my work and my family, etc etc etc. This is what appeared in place of all my pictures on my blogs. And my Picasa folders just went missing!